Wilson Smith III stepped in to be head designer of the Air Jordan 16. 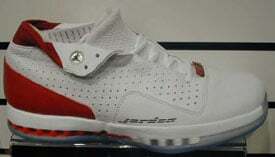 Wilson’s plan with the XVI was to add all of the main elements from the past Air Jordan models into one. Notice the patent leather on the toe box (Air Jordan XI), ribbed leather gaiter (Air Jordan XIV), 3/4 mid cut (Air Jordan III), mesh uppers (Air Jordan V) and clear rubber soles (Air Jordan V, VI, XI). The return of the patent leather gave the Air Jordan 16 a dress look, which people wore with tuxedos (same on the Air Jordan XI), but of course the Air Jordan XVI was not as popular as the Air Jordan XI. 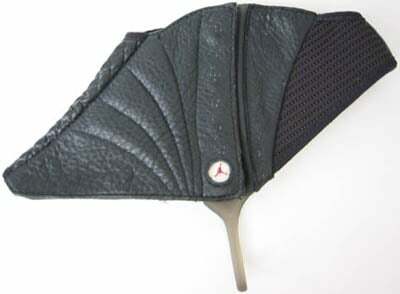 The Air Jordan XVI is the first model in the line to have a gaiter or shroud. The gaiter is removable, which made them look like a brand new shoe. A downfall about the gaiter is that when worn during a basketball game, they could fall off. 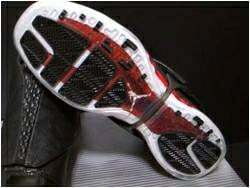 Also the Air Jordan XVI is a tight fit with the gaiter’s on. The Air Jordan 16 is very lightweight, but was stiff. Don’t get me wrong though, the Air Jordan XVI had great quality’s like a blow-molded Air unit in the heel, Zoom Air in the forefoot, thermal properties, breathable ballistic mesh upper and patent leather. 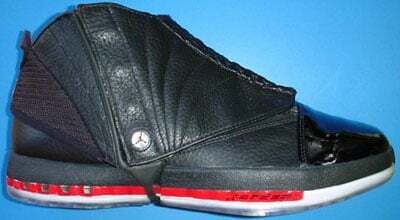 When the Air Jordan 16 first hit shelves in 2001, retail was $160.00, and a total of four color ways were released. 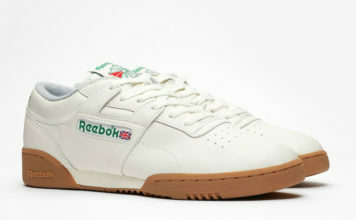 Also two low models released at $135.00. A lot of Samples and Player Exclusive were also issued as well.